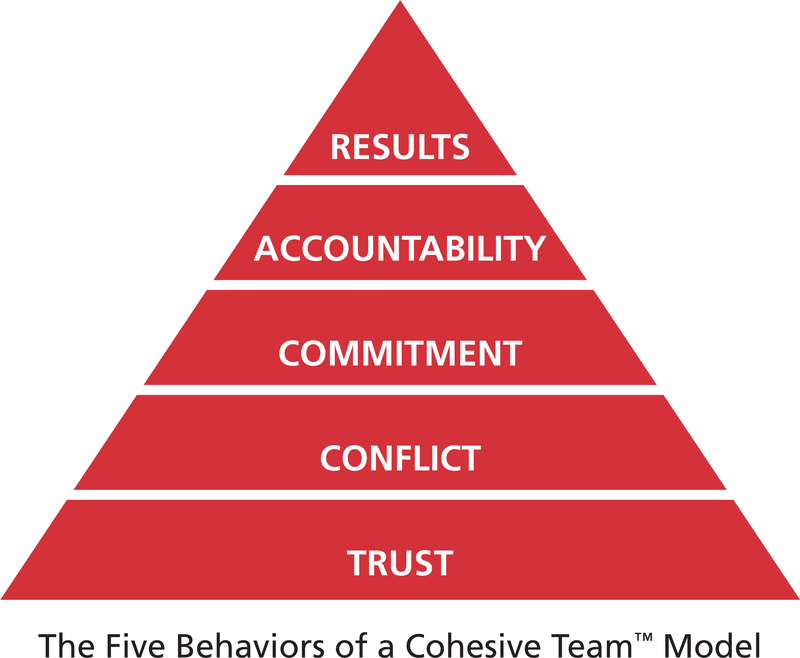 Patrick Lencioni has created “The Five Behaviors of a Cohesive Team”. 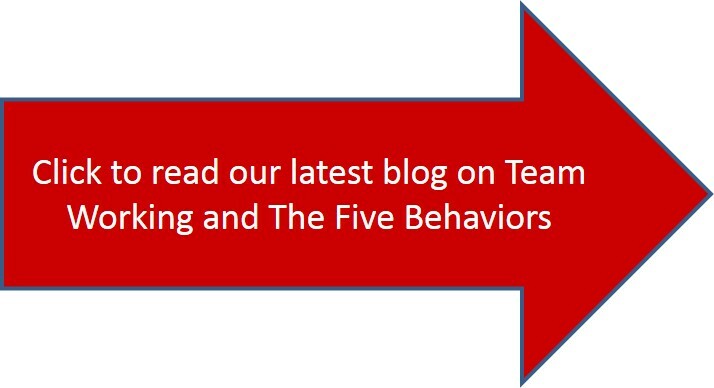 We think that this is a refreshing approach to team working. There are three stages for you to go though to start your journey towards becoming a cohesive team and experience high quality team working. Decide as a team that you are prepared to commit to this process. 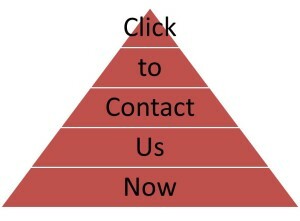 All team members need to be “up for this”. Identify the team and the individual team members and then get each person’s agreement to the goal of high quality team working. The team needs to consist of people who have worked with each other for a time. We will observe the team in a meeting and/or working together. This might be followed up with the use of various profiling instruments depending on our observations and the goals of the team. Group sessions are facilitated by a professional facilitator from The Development Company Limited. 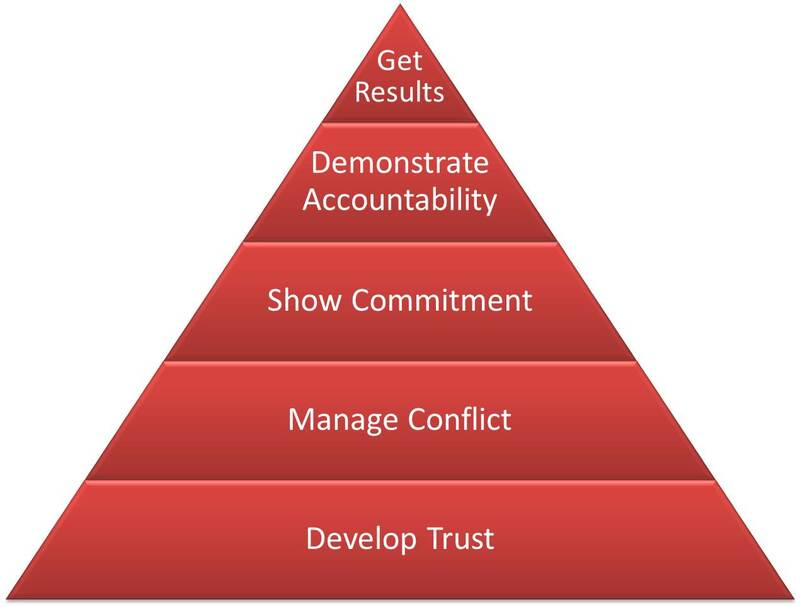 The process starts with “Trust” and moves up the pyramid as the team shows evidence of their development. Individual coaching sessions may also be appropriate along the way. 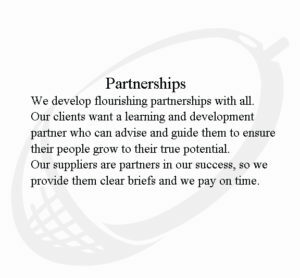 All our facilitators are also fully qualified coaches. Team members need to develop real trust with each other. This is about having the ability to be open and honest, with everyone maintaining respect for each other. Managing conflict means having open and constructive debates. Everyone in the team has “bought in” to the decisions. People are willing to hold each other accountable for their actions. be more fun to work in!